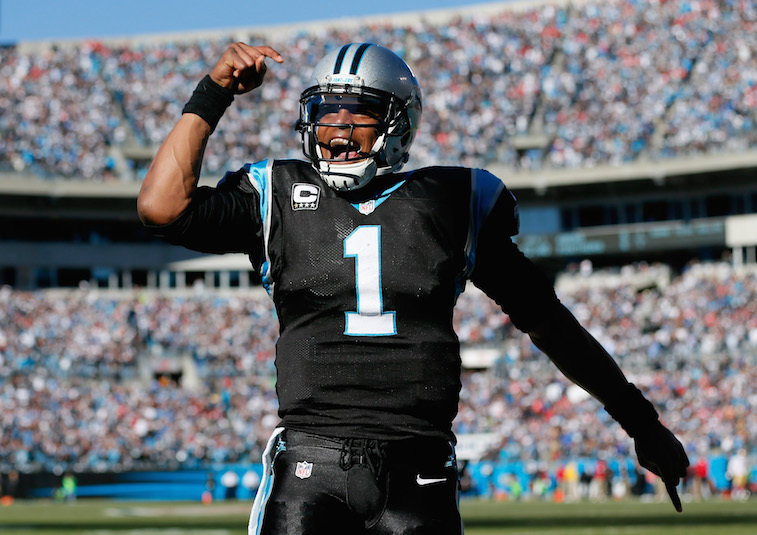 It’s no secret that quarterback is the most lucrative position in the NFL. They always have been, and always will be, the highest paid position group in the league. The emerging trend among current NFL quarterbacks is the use of $100 million contracts as a negotiating tool and a measuring stick against their peers. Currently there are only eight signal callers around the league playing on contracts worth nine-figures in total value. Only two of them have won Super Bowl rings – Joe Flacco and Aaron Rodgers – and only one of them – Rodgers – has won an NFL MVP award. More and more, teams are paying quarterbacks based on the player they could become, rather than the player they currently are. Likewise, several young quarterbacks and their agents have capitalized on a league-wide obsession among front offices with finding franchise quarterbacks. With that said, the market for elite quarterbacks is about to blow up. This offseason, we have seen Ryan Tannehill of the Miami Dolphins land a contract that will pay him $96 million over the next six years, and Cam Newton of the Carolina Panthers land a five-year, $103.8 million contract extension. Depending on whom you ask, those two deals were either fantastic or terrible. For Seattle Seahawks quarterback Russell Wilson and Indianapolis Colts quarterback Andrew Luck, the contracts came as great news. For the front offices of the Seahawks and the Colts, the contracts practically killed their negotiation power with Wilson and Luck, respectively. It is basically a forgone conclusion that Wilson and Luck will be the next $100 million NFL quarterbacks. In fact, both will likely sign record-breaking contracts sometime within the next year. Given the certainty of their pending contracts, we chose not to include either player in this list. So, who is the next most likely up-and-coming NFL quarterback to land a $100 million contract? Here’s our take on the situation. Let’s not beat around the bush here; Bortles simply wasn’t ready to be the Jaguars starter in 2014. With that being said, the former Central Florida signal caller did flash signs of having what it takes to be franchise quarterback at the NFL level during his rookie season. And let’s not forget, his pro day leading up to the 2014 NFL Draft was one of the best by a draft eligible quarterback in recent memory. 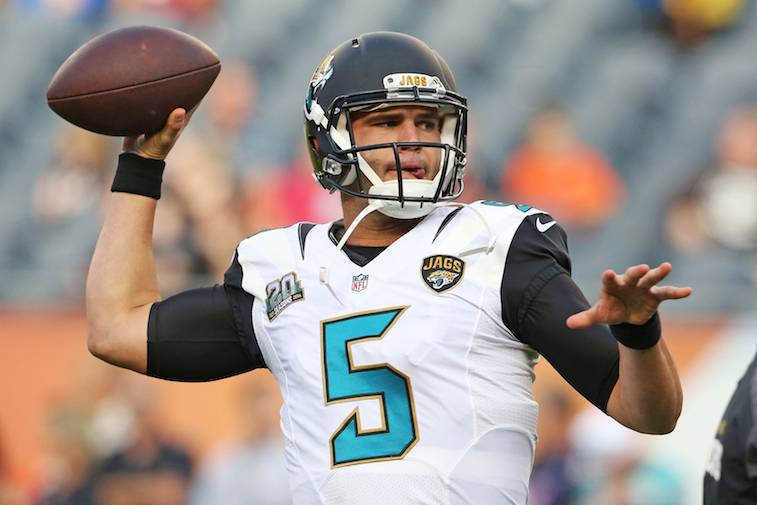 The 2015 season will be a huge for Bortles in his quest to be a $100 million quarterback. The team added multiple weapons to their offensive arsenal, and the game should slow down in his second season. At this point, however, it’s way too early to deem Bortles as being worthy of a $100 million deal. 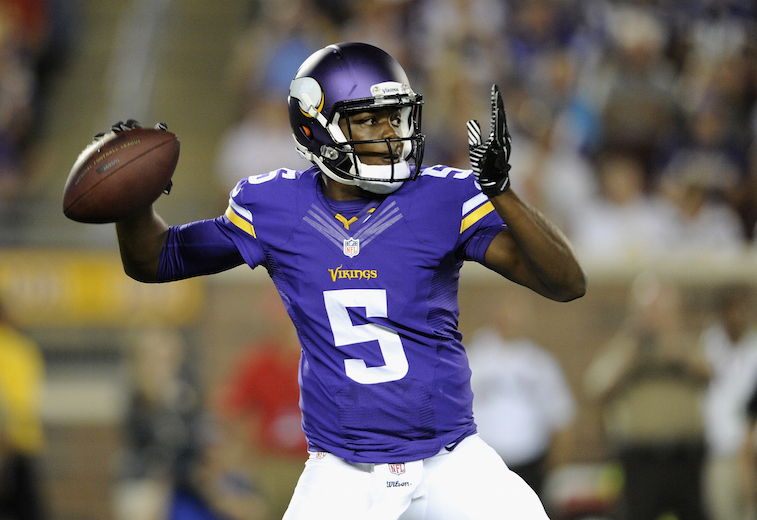 Bridgewater proved to be the top rookie quarterback in the NFL during the 2014 season. As a result, expectations for the former Louisville Cardinal are sky high as he heads into his second professional season. His development should be expedited in 2015 with the return of running back Adrian Peterson and the addition of wide receiver Mike Wallace. If he can build off of his success as a rookie, Bridgewater could be the most likely young quarterback in the league to land a $100 million contract. During the first half of the 2014 season, Carr looked like a future All-Pro. During the second half of 2014, he looked like a guy who was destined to be a journeyman for his entire career. Not everything was Carr’s fault, though. His play slipped in part due to hitting the proverbial rookie wall, and in part due to him playing with a subpar supporting cast. Looking forward, the Raiders were able to add several talented players on the offensive side of the ball, and new offensive coordinator Bill Musgrave is implemented a system similar to the one Carr broke numerous records playing in at Fresno State. 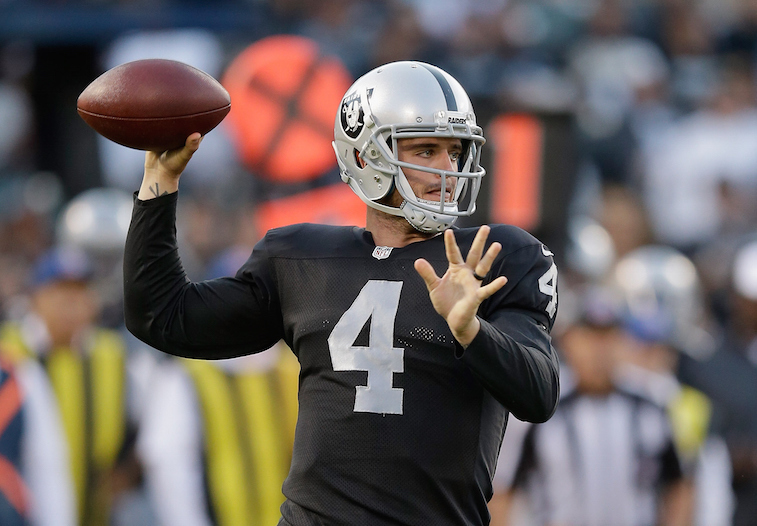 The Raiders have money to spend in the coming years, and if their 24-year-old quarterback continues to improve, we could easily see him landing a $100 million contract within the next three or four years. 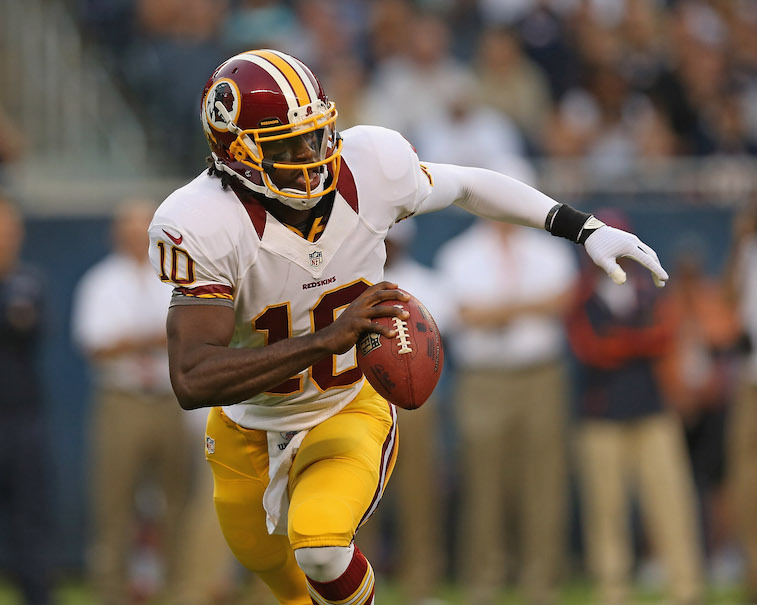 You may be surprised to see RGIII on this list, but the idea of the 2012 NFL Offensive Rookie of the Year award winner landing a $100 million contract isn’t that far-fetched. Despite a run of wildly inconsistent throughout the last two seasons, the 2011 Heisman Trophy winner has proven on more than one occasion that he can play at an extremely high level in the NFL. While there are no guarantees that he will be the team’s starter for the entire 2015 season, the Redskins have already picked up Griffin’s fifth-year option worth $16.1 million for the 2016 season. If he plays well this season, there is no telling how much money Dan Snyder, the notoriously frivolous owner of the Redskins, will throw at the 25-year-old quarterback. All statistics courtesy of Pro-Football-Reference, all contract data courtesy of Spotrac.